^ Madsen U, Krogsgaard-Larsen P, Liljefors T. Textbook of Drug Design and Discovery. Washington, DC: Taylor & Francis. 2002. ISBN 0-415-28288-8. ^ Reynolds CH, Merz KM, Ringe D (编). Drug Design: Structure- and Ligand-Based Approaches 1. Cambridge, UK: Cambridge University Press. 2010. ISBN 978-0521887236. 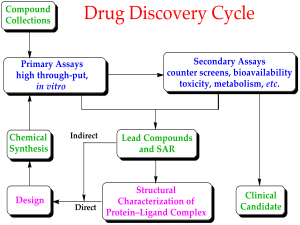 ^ Shirai H, Prades C, Vita R, Marcatili P, Popovic B, Xu J, Overington JP, Hirayama K, Soga S, Tsunoyama K, Clark D, Lefranc MP, Ikeda K. Antibody informatics for drug discovery. Biochimica et Biophysica Acta. Nov 2014, 1844 (11): 2002–2015. PMID 25110827. doi:10.1016/j.bbapap.2014.07.006.